Galle is an immense unmissable destination in the south. In Galle, classic construction bonds with a dramatic sultry setting to generate a reality that is incessantly fascinating. Spices, salty winds, and the amazing compilation of Dutch-colonial buildings, make its eternally striking. Built by the Dutch, starting in 1663, the 36-hectare Fort absorbs most of a headland that is enclosed on three sides by the ocean. Just traveling through the old walls and boulevards at random yields one architectural revelation after another as you discover the amazing set of structures dating back throughout the centuries. Their splendors have produced the Fort status as a Unesco World Heritage Site. Today this remarkable Fort area is stuffed full of little boutique shops, cafes and hotels possessed by local and foreign artists, writers, photographers, designers and poets – a third of the residences are owned by foreigners. During the stopover, the Kalutara temple is a place you should not miss. 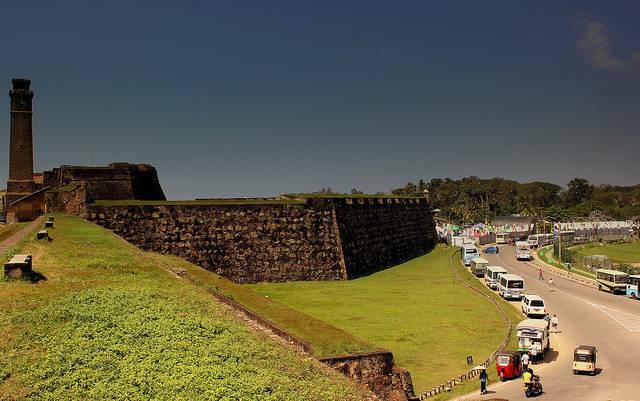 Galle is effortlessly reached as a day trip from Colombo and is a swift drive from the close by beach towns of Hikkaduwa and Unawatuna, but to really relish the place, hang out inside the atmospheric walls of the Fort.